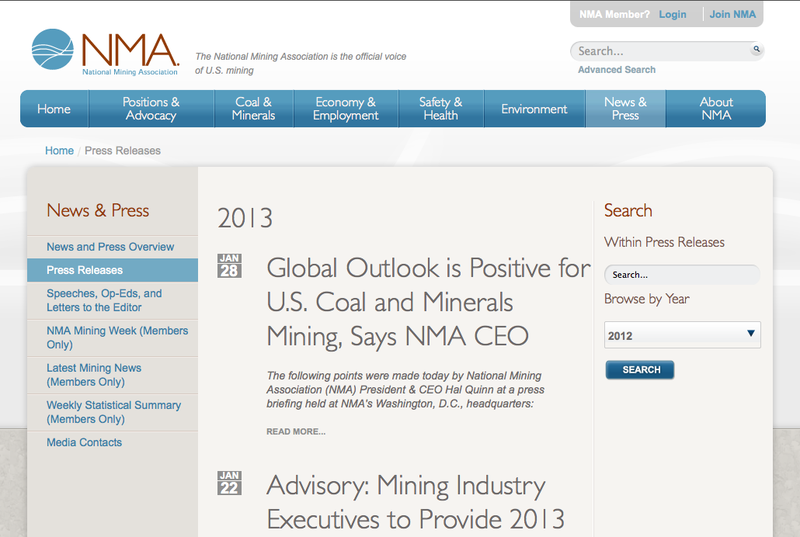 The National Mining Association hired SPARK to redesign their outdated website (seen below). 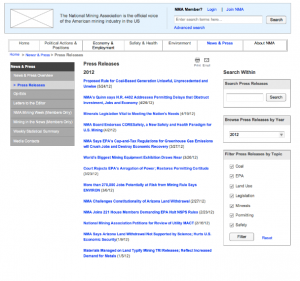 I moderated usability tests on the existing site to both understand site audience content needs and learn where its location or labeling made finding information especially difficult. 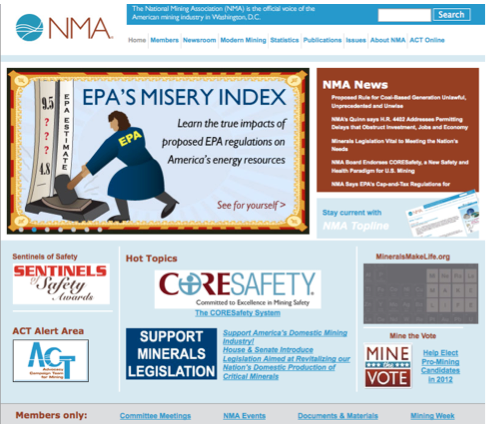 Before the redesign, the NMA website was outdated, difficult to use, and not representative of a professional organization. 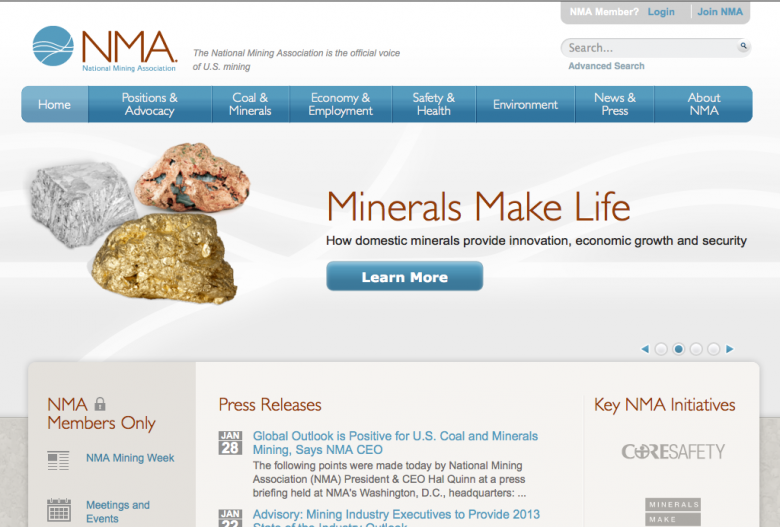 Research was also conducted to help develop a new information architecture (IA). Research participants were asked to group related content and label these new categories in an online cardsorting tool. 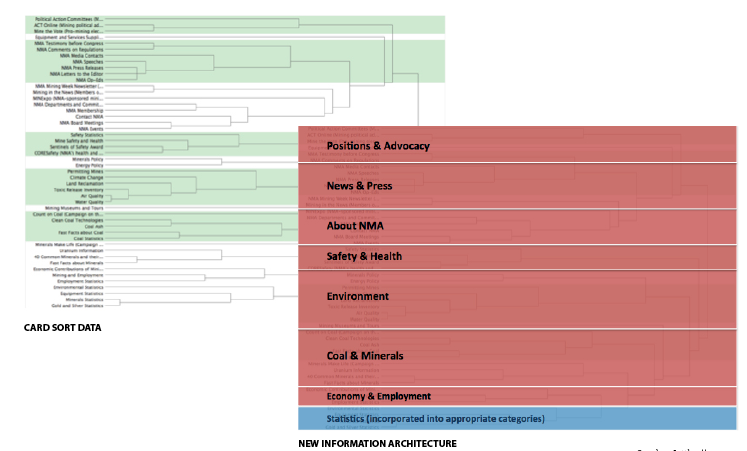 By analyzing how participants grouped content (and the strength of that connection), navigation categories were created. 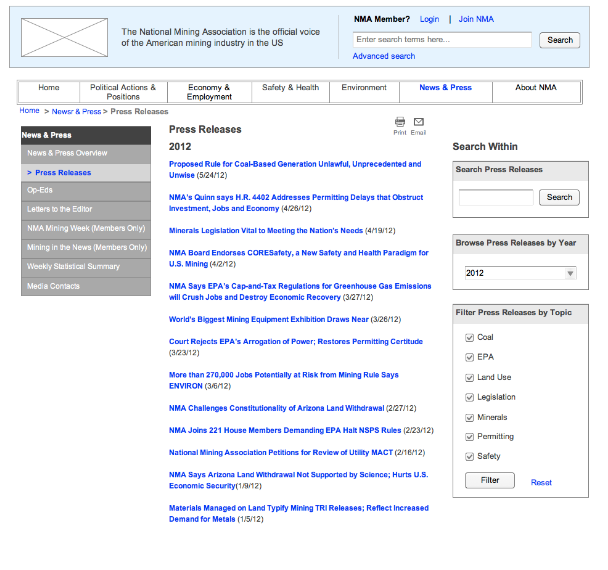 I also created wireframes as a guide for visual design and to indicate key pieces of functionality.